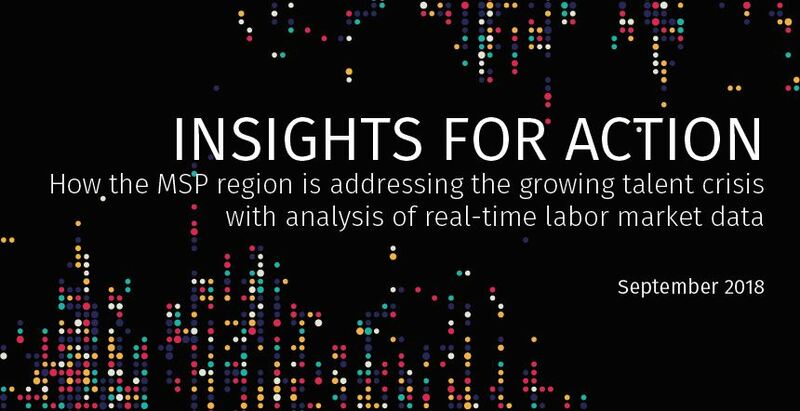 These Sector Analysis Reports – the regional overview document and its one-page profiles of IT, manufacturing, construction, healthcare, business and financial services, and government – provide an analytical methodology to know and react to demand, supply, and training program outcomes. In other words, these tools can help us more efficiently close the worker gap. We hope that you see value in this data and decide to replicate this kind of analysis in your own sectors and communities. 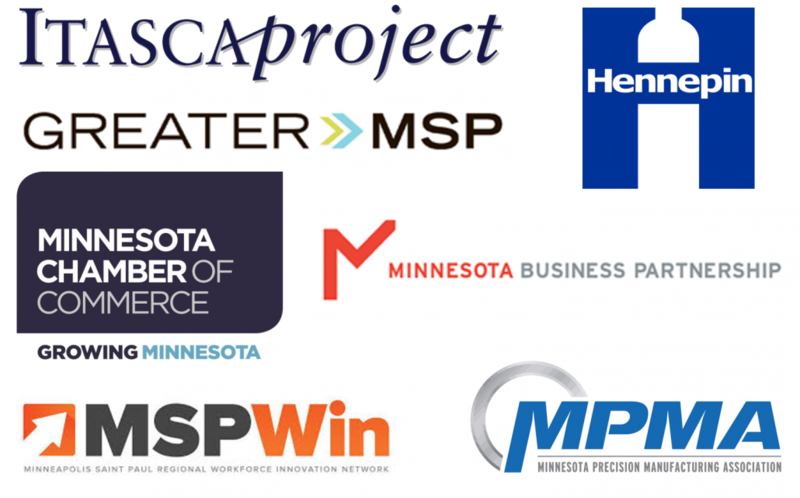 The Business Talent Project is an informal collaborative of workforce leaders from the State Chamber, Greater MSP, Minnesota Business Partnership, and the Itasca Project, plus a growing body of companies and organizations leading the way to address our state’s worker shortage and provide support to the Greater Metropolitan Workforce Council. The Challenge: If we do not activate Minnesota businesses to take the lead in the rebuilding of Minnesota’s talent engine for economic growth, Minnesota will not realize its economic potential, threatening our prosperity and falling behind other states in economic stability and business attractiveness. The Vision: Alignment of workforce demand and supply to improve business’ ability to attract, develop, and retain talent across Minnesota ‘s most strategically important industry sectors, closing the anticipated gap of nearly 239-278k workers by 2022 and positioning Minnesota’s workforce as a competitive advantage for sustained economic growth. 1) Amplify existing apprenticeship progs. strategy working session in October. Sector Lead: John O’Phelan, Ramsey Co.
strategy working session in November. Sector Lead: John Thorson, Hennepin Co.
about the Metro Anchor Partnership. 2) Promote and align training and edu. Anchor Partnership and how to get involved. 4) Develop effective pathway from AA/S to BA/S in Engineering and Management. Submit your workforce challenges to the sector lead, review the Sector Plan online now, or learn more about the opportunity to lead in a working group.